Colvin & Moggridge » Imaginative entrance masterplan for Kew Bridge Steam Museum. Built in the 19th century to supply London with water, the Museum is recognised as the most important historic site of its type and its extensive archive supports education programmes that explore the technology and industry of Victorian water supply. 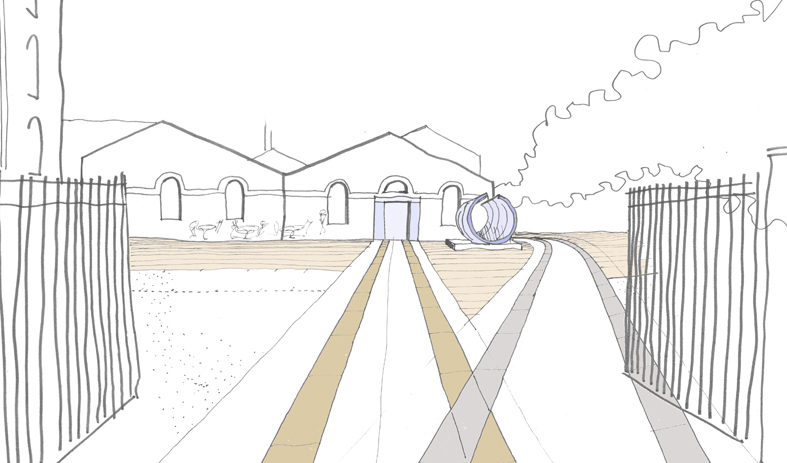 Working alongside Dannatt Johnson Architects, our landscape masterplan for the HLF funded reconfiguration of the entrance area incorporates elements of heritage value, as well as imaginative enhancements to the use of space. The design removes all parking from the arrival area and features a water pipe sculpture inside dramatic granite tramlines, perfectly framing the entrance approach. The design also creates a friendly café inside the entrance with a ‘splash zone’ play area beyond.